Welcome to my new feature in which I talk a bit about the books I'm reading, mental health issues, my own experiences and the way in which all three of these things are connected. Suicide and my own suicidal thoughts as a teenager are topics that I've already discussed on this blog recently so I hope nobody minds that I return to this subject briefly with this post. As a teenager, I felt very alone. 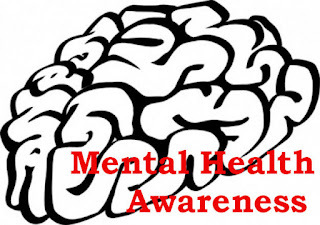 I was living in a very toxic environment and in response to major events that happened and also because of the complicated relationships that I have with members of my family, I went through a period of time in which I felt as though there was no hope of things getting any better. I felt like I was trapped in a situation that would continue to torment me and I had no idea that things getting better was even a possibility. It was difficult for me to envisage a future for myself because I didn't feel as though I had one. And the thing that gets to me looking back on everything from the distance of time is that I never asked for help. Of anyone. I never told anybody what I was going through, I didn't tell anyone the thoughts that I was having or what I was feeling. I never spoke up or asked for help and because of that nobody really knew how much I was floundering or how close to that edge I was standing. If I could, I'd love to go back and shake teenage me and remind her of all the caring and supportive people that surrounded me as I was growing up who would have done what they could to help me if only I'd gotten over my shame and fear. So far this year I've read two books in which the main focus of the storyline involves the death of a best friend by suicide. Those two books are Undone by Cat Clarke and Kite Spirit by Sita Brahmachari. Undone is a really great and emotional book which includes letters between friends and a main character who is really struggling with the grief of losing the person she was closest to. But I think the reasons that I loved the book so much is because of different things aside from Kai's suicide. 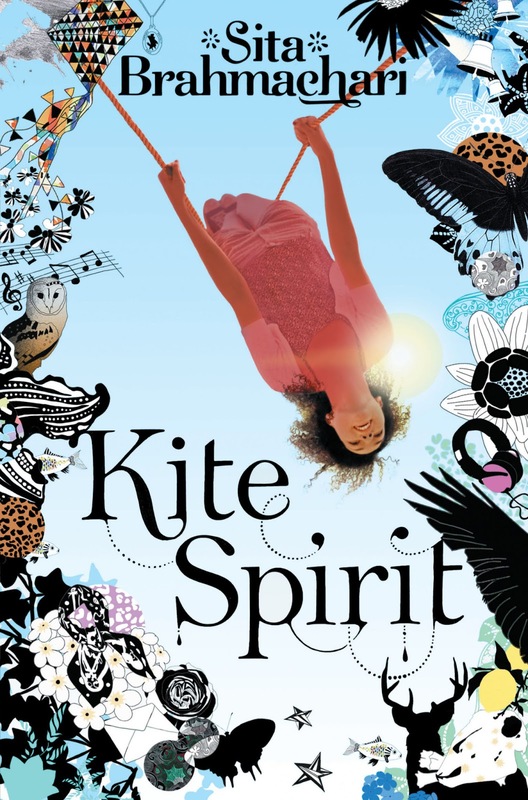 And then there's Kite Spirit by Sita Brahmachari in which how Dawn's suicide leaves such a big impact on Kite is what is at the centre of the novel. I was reading this book and what struck me the most with it is how safe and comforting it felt to read and to explore the idea of suicide in a non-threatening way. Yes, it was very sad and touching in many places but I love how much the bulk of the story is about Kite dealing with her grief and also her anger and guilt and frustration over her best friend committing suicide. And she does that surrounded by a wonderful support network - her parents, her teachers, friends, strangers, people she knows through her different hobbies. And she's in the countryside away from a lot of the pressures of her daily life and she is really fully able to relax and look back on how different Dawn and Kite are. Her memories of Dawn appear different in hindsight and Kite really goes over Dawn's behaviour before she took her own life with feeling isolated and under pressure. And as I said, I loved reading about Kite and how she has such loving parents and a support network and connections to her family and to other people and hobbies that are important to her and that she finds somebody in which to share her thoughts and feelings with. All of these things I didn't have growing up and I have them now. Finding these things is important to everyone. I have read other books dealing with suicidal thoughts (Crash Into Me by Albert Borris, By the Time You Read This, I'll Be Dead by Julie Anne Peters) and also dealing with the suicide of a loved one (Saving June by Hannah Harrington, Fall For Anything by Courtney Summers) but do you have any recommendations for other YA novels that touch on this topic? And if you are dealing with suicidal thoughts yourself or are worried about somebody that you know, I do urge you to speak to somebody right away. It must have been such an awful time for you, Michelle. I'm so glad that you have a healthy and happy life now. One of my closest friends was suicidal due to being a transgender, but now they don't have those thoughts anymore. :) I have Undone on my TBR pile and it sounds like an incredible story. Undone is an amazing book, I hope that you enjoy it when you do read it. I'm glad your friend is in a better place! Fantastic posts as always. It's so good that the realityof suicide is becoming more prevalent in YA. It shouldn't be ignored by the people who it affects the most. I do like to see these things talked about more in YA. I think it would have been really great to read this type of story as a teenager. I read Undone a few months ago and loved it and Kite Spirit is on my wishlist so I'll probably try and get it sooner now. I think it's really important that these things are discussed because novels are often very true to real life. You're very right, these things really do need to be discussed more. Both in life and in fiction! Suicide is a subject that is not particularly close to me, but it's a subject that needs to be addressed in books. I'm going to take a look at some of those books on suicide to widen my knowledge and insight. Great post, it's hard to write about something so close to you. Thank you Tilly! I just think a lot of mental health issues still have a stigma around them. By talking about them on my blog I hope to lessen that in some way.